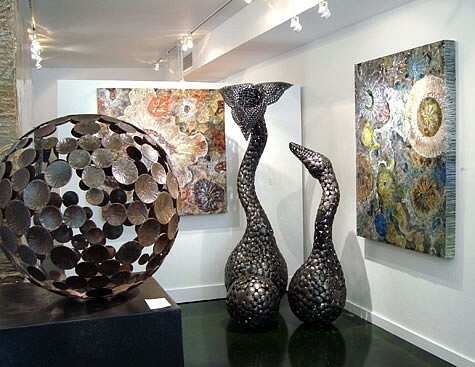 Diehl Gallery was founded in 2001 and offers fine art and professional art collecting services for new and established collectors, both private and corporate. 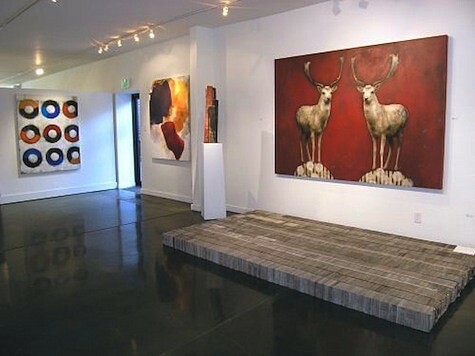 Diehl Gallery specializes in the acquisition and sale of contemporary art, with a focus on painting and sculpture. Mariam Alaskari Diehl, a native New Yorker, graduated from New York University with both a Bachelors and Masters of Arts in Politics. 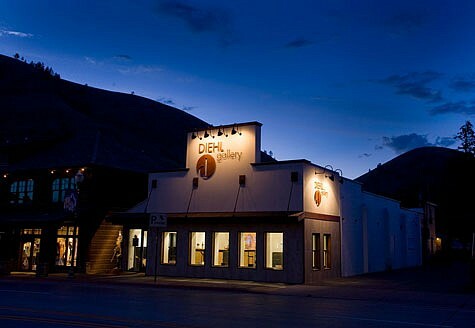 In 2002, Ms. Diehl left New York and moved to Jackson Hole, where she became Director of the Jackson Hole branch of the Meyer Gallery, founded in Park City, Utah in 1965. For the next three years, Ms. Diehl oversaw all aspects of the gallery management, including: organizing gallery exhibitions; working with architects, art consultants and interior designers on project-specific installations; guiding the gallery's aesthetic direction with regard to recruitment of new artists; and providing collection development services for private and corporate clients. In the spring of 2005, Ms. Diehl purchased the Meyer Gallery and continued to forge relationships with and represent the work of increasingly more contemporary artists. The gallery moved to its current location on Broadway in a newly renovated, contemporary space in the spring of 2008, where it was renamed as the Diehl Gallery. Since 2002, Ms. Diehl has worked as an art dealer. Her projects have ranged from high-end residential homes, to corporate offices, to development properties and hotels. Ms. Diehl places the greatest importance on honesty, discretion, integrity and resourcefulness. Her ability to address her client's individual needs has enabled her to create and maintain long lasting, productive relationships with her clients as well as with other individuals in her field. Ms. Diehl and her team have commissioned artists for site-specific projects, such as the massive 30 foot long installation by Richard Painter at the Jackson Hole Airport; hosted gallery tours for students and visiting arts groups from around the country and abroad; curated art exhibitions for events, including the Western Governors Conference at the Four Seasons in Jackson Hole and the Jackson Hole Music Festival's Wine Auction. Ms. Diehl has served as the Vice Chairman of the Jackson Hole Gallery Association and is the former Vice Chairman of the Board of the Art Association of Jackson Hole. Diehl Gallery is currently accepting submissions for the 2019 Summer Internship program. Please contact the gallery for our internship application and to receive further details. Diehl Gallery is not currently accepting any new artists to the gallery. The gallery does welcome submissions from artists seeking representation throughout the year. We do not accept exhibition proposals. We do not make appointments or view portfolios during gallery hours. Artists seeking representation at Diehl Gallery should email submissions to: info@diehlgallery.com. Please include artist CV, biography or artist statement, and link to artist website. Due to the high number of submissions we recieve we cannot respond to every one. We thank you for your understanding.